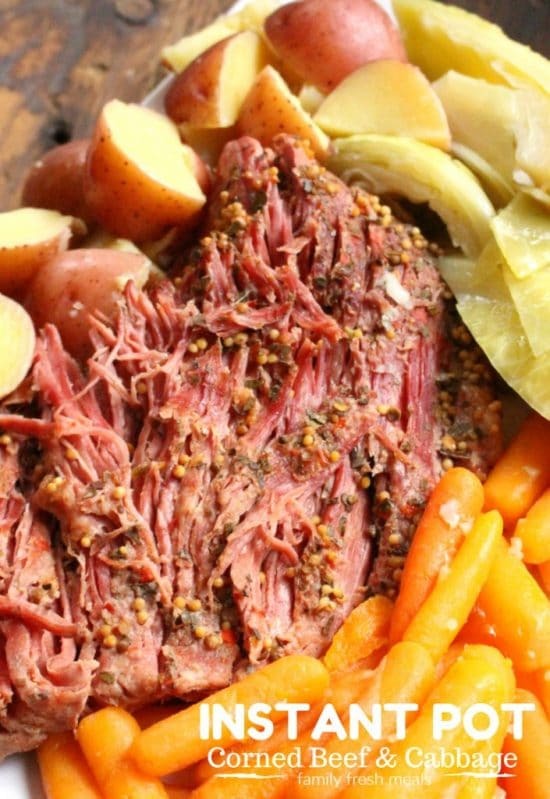 The BEST Instant Pot Corned Beef Recipes can help you make an easy corned beef dinner for St. Patrick’s Day, or any time you’re craving corned beef. 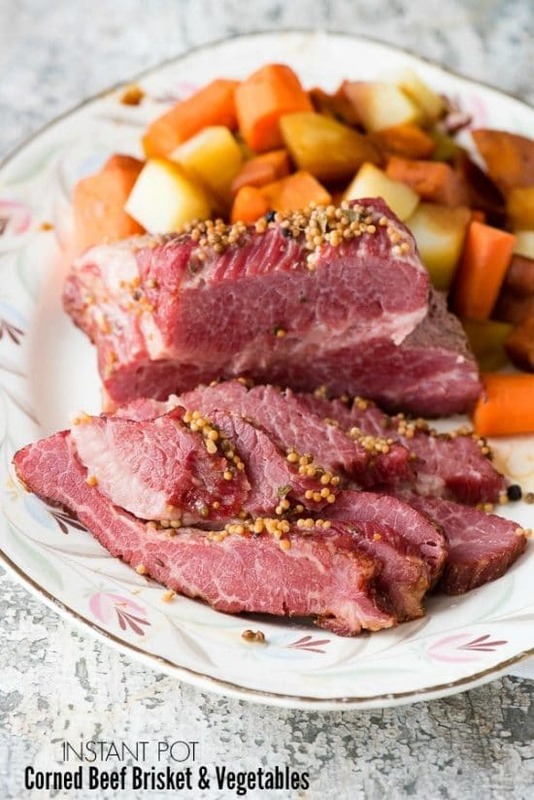 Corned Beef in the Instant Pot is so quick and easy, and if you serve with low-carb side dishes, corned beef can be great for a low-carb meal! 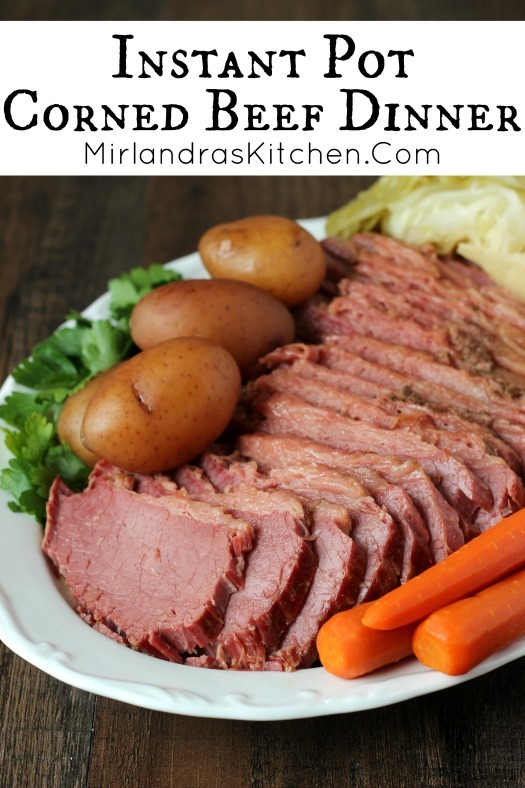 Click here to Pin The BEST Instant Pot Corned Beef Recipes! 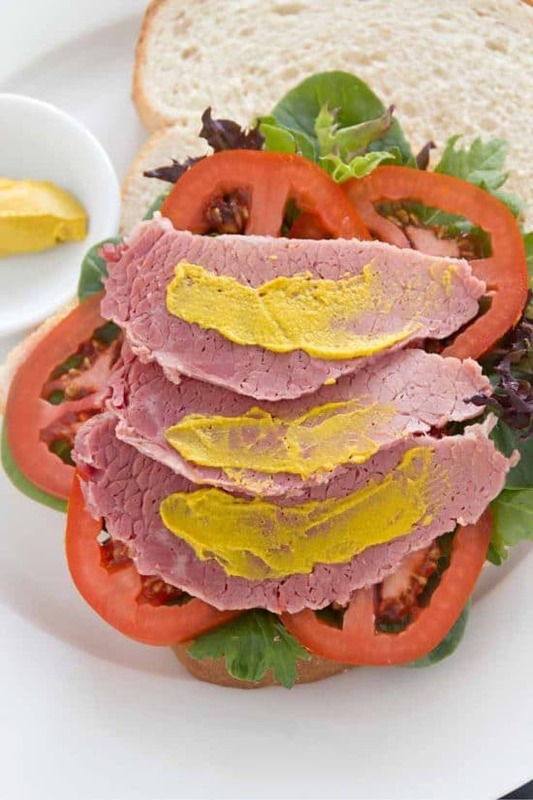 Click here to see The BEST Slow Cooker Corned Beef Recipes! 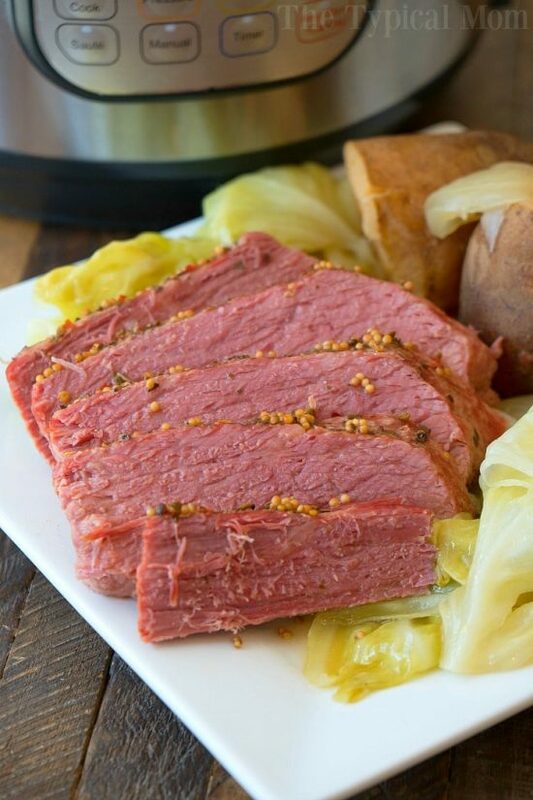 I woke up today realizing that St. Patrick’s Day is one week away, so I’m updating this collection of The BEST Instant Pot Corned Beef Recipes to remind you about this easy way to make corned beef for St. Patrick’s Day! People who love corned beef (like me!) wait all year for this time of year when it becomes more available and goes on sale in stores all across the U.S. This happens every year, even though Corned Beef and Cabbage isn’t really that authentic for Irish food. 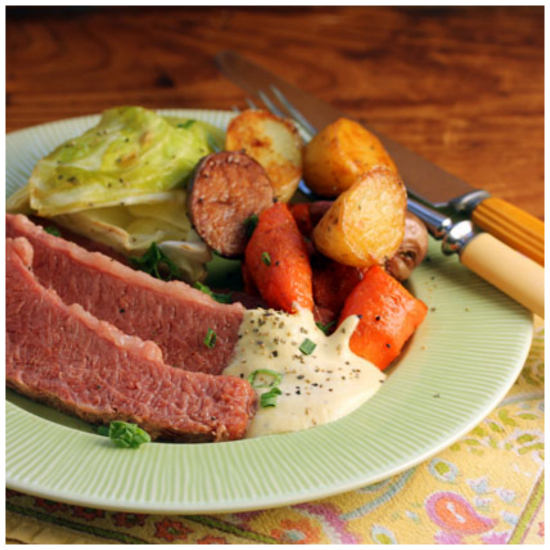 But for Irish-American celebrating corned beef is a classic and the Instant Pot is one of the best possible ways to cook it. There’s already a collection of Slow Cooker Corned Beef recipes on this site, and for years I cooked my own corned beef in the slow cooker. But when I tried pressure corned beef and realized how tender and juicy it came out in such a shorter time, I knew there had to be others who would also love that method. Some of these Instant Pot or Pressure Cooker corned beef recipes have veggies, some have sauce, and some featured juicy and tender corned beef made into sliders or sandwiches. And no matter what kind of Instant Pot or pressure cooker you use, corned beef cooked with that method is going to be amazing. I’m including this post in the low-carb and Keto index pages, but you’ll obviously have to skip high-carb veggies like potatoes or carrots and eat the corned beef without bread if you’re following those plans. And personally I love my corned beef with Low-Carb Roasted Cabbage with Lemon for a low-carb meal. All photos are copyrighted to the blog that first posted the recipe; just click the recipe name under any photo to get the complete recipe from the original site. 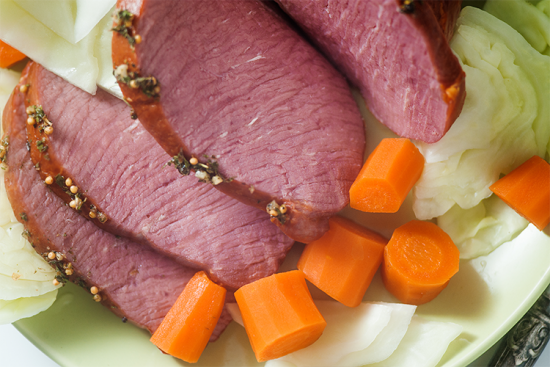 Have you made corned beef in the Instant Pot? Let us know in the comments about how that went for you! Time to run to the store for a corned beef! 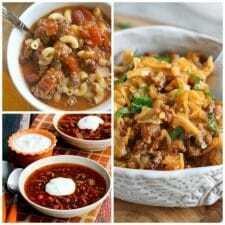 Thanks so much for including one of my recipes. I can’t wait to try a different recipe this year. Of course! Sorry I missed this comment and just saw it today! I think you are confused. None of these recipes starts out with beef cubes. They are all sliced or shredded after the corned beef is cooked.